← Shontelle bigs up The Caprese! Sunshine and Barbecues, you just have to, it’s law! The Blogging has been taking a back seat over the past few days due to the amazing weather we have been having up in Scotland so I must apologise for the lack of updates recently. Who wants to sit indoors staring at a computer screen when you could be outside burning yourself to a crisp! I must say, it’s highly unusual for us to have such nice weather and it makes a welcome change from the wind and the rain we normally have. Having all this great weather, we decided to take full advantage of our day off on Sunday and planned a family barbeque. Everyone headed over to spend the day sunning ourselves and to watch Costanzo take charge of the cooking, just for a change! It seemed like half a cow was on that barbeque plus enough Italian Sausage to feed an army but unbelievably between the 10 of us we managed to polish everything off. A massive salad was prepared to make us feel healthy and we decided to have a “Rose'” day so had several bottles of the Rose wine we have on the menu and it is delicious! It makes a nice change from having white wine and is very refreshing on a hot summers day. G & T’s all round for afters with lots of ice and lemon and we were in heaven. What more could you want from life, gathered around the barbecue with your family and laughing until you cry, life doesn’t get much better than that. We are hoping that the good weather comes back again by this weekend because once again it’s a Bank Holiday! As usual, we will be closed on the Monday holiday 31st May but re-open again as normal on Tuesday. All going well, we will be barbequeing once again this weekend and if you hear any news reports about the volcanic ash cloud returning, don’t worry, it will just be us cooking! Thankfully, aircraft can still fly safely through the smoke plumes coming from our giant steaks! 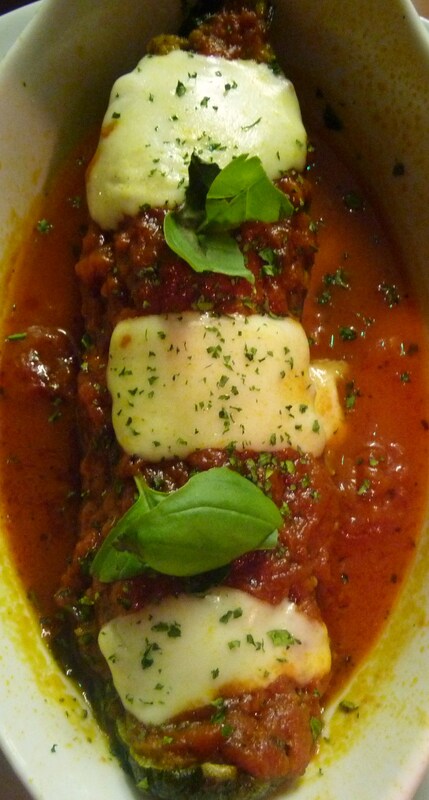 This entry was posted in Delicious Dishes!, The Caprese Restaurant. Bookmark the permalink.